Pay-as-you-go and monthly subscription streaming services get you exclusive access to must-see TV, the latest movies and crown-jewels sports fixtures. Best of all, they let you enjoy watercooler TV without committing to a lengthy contract. Here, we'll give you an overview some of the most popular streaming services so you can see exactly what kind of programming is available and how the likes of Netflix, NOW TV and Amazon Prime Video stack up against each other. NOW TV is Sky's pay-as-you-go streaming service and is available in a range of sign-up options, including passes and bundles. These options can be stacked together, so if you're a sports fan and a film fan, you can get two passes. All the passes are available on a 30-day rolling contract so once your series ends, you're free to cancel at any time, penalty-free. The Sky Sports pass is even more flexible with daily and weekly passes available, too. With NOW TV, you get access to whatever live TV channels are included in the pass you sign up for, plus on-demand content including catch-up TV, popular box sets and Sky Cinema's impressive range of over a thousand films. You can watch NOW TV on up to four compatible devices like smartphones, tablets, games consoles and smart TVs so you can watch on your telly or on the go. Watching live TV is restricted on certain devices, however. 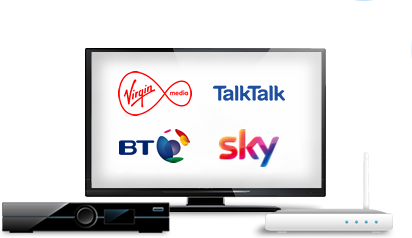 This operates on a monthly subscription model and enables you to watch 11 pay TV channels, including some of Sky's most popular premium TV channels. In fact, a NOW TV Entertainment pass is the only way to watch Sky Atlantic outside of getting a Sky subscription. The full list of channels takes in Sky Atlantic, Sky 1 and Sky Living, as well as Comedy Central, Fox, Discovery and more. Shows you can expect to see with the Entertainment Pass include Game of Thrones, The Walking Dead and Westworld. As its name suggests, the Sky Cinema Pass is focused on cinema and gets you access to Sky's 11 movie channels, which have big-money content contracts in place to ensure they air premieres of the biggest movies before anyone else. Sky Cinema also premieres a new film every day, so if their catalogue of on-demand films isn't enough, chances are you'll find something new that suits your tastes. Available for a day, a week or a month, these passes buy access to Sky's 10 dedicated sports channels. These feature a NOW TV box with a pass that gets you access to premium TV programming. They're also themed around the different packages and can work out much cheaper than a standard Sky subscription or NOW TV pass. NOW TV also offers broadband and call packages, so you can bundle multiple services together, too. This was formerly known as LoveFilm and offers unlimited streaming of thousands of movies and TV episodes, including original content like American Gods, The Grand Tour and Outlander. You can sign up for a cheap monthly plan with Amazon Prime Video to get access to their library. Alternatively, you can sign up for a year of Amazon Prime — which costs more but gets you the same unlimited streaming access to the service's library as well as one-day delivery when you buy goods from Amazon. Most devices — including laptops, tablets, smartphones, and games consoles — are compatible with Amazon Prime Video. You can also enjoy Amazon Prime Video on smart TVs and with standard TVs through set-top boxes (like Roku or the Amazon Fire TV stick) and Blu-ray players from LG, Sony and Samsung. Netflix is the original streaming service, and it still outnumbers the other services for subscriptions and original content. The service offers thousands of movies and TV shows for streaming, including highly popular original content such as House of Cards, Orange is the New Black, Black Mirror and The Crown. Netflix can be watched on computers, laptops, smartphones, tablets, smart TVs, set-top boxes and most games consoles. Want to know more about streaming services? Check out our dedicated streaming services news section.